So, the time to upgrade your old car. Because 2012 is bringing amazing and stunning new car make and models with best and latest technology, that will give more stunning performance and mileage. See, we are collected over 50 cars that is going to be launch in Auto Expo New Delhi since 7th Jan to 11th Jan 2012. We are listed that all models by smallest to largest models means chief model to higher. Is this the cheapest car in India? Well, you could say that way but Mr Bajaj begs to differ. He doesnt really call it a car, but a step up the ladder for current 3-wheeler owners and users. Infact, he openly says he is an anti-car guy! The RE60 makes use of a small single cylinder 200cc engine that will put out around 20 horses, enough to propel this 400kg car to decent speeds – top speed, the company says, is limited to just 70km/h for safety! Renault will be particularly interested in the Bajaj small car as it has the option of marketing it under the Renault brand as per an agreement with Bajaj. 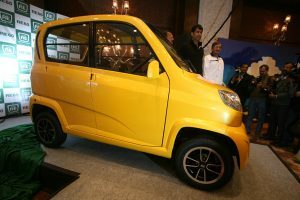 Though few technical details are known, the Bajaj Small car is likely to come with path-breaking fuel efficiency to offset a purchase price that is expected to be higher than the Nano’s. 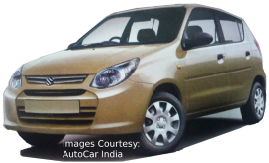 The Maruti 800 and Alto, India’s bestselling car models, are set to drive into the sunset as Maruti Suzuki is working on a replacement for the 800cc cars to bring in a more contemporary and fuel-efficient model. 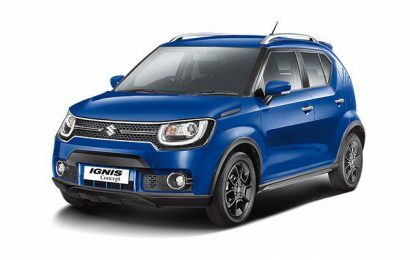 Shinzo Nakanishi, MD of Maruti Suzuki, told TOI that work is on to bring out a replacement for the two blockbuster models, and the new model could be expected in the next two years. “Some day we have to change… Their replacement model is under development,” Nakanishi told TOI, at a time when the carmaker is facing stiff competition. Leading Italian auto manufacturer Fiat has launched its most awaited premium hatchback model Fiat Punto in the Indian market. Fiat Grande Punto has been launched in the Indian market as a joint venture between Italian passenger car manufacturer Fiat and Indian auto major Tata Motors. 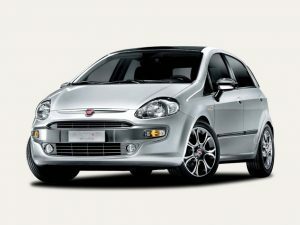 Fiat Grande Punto is consistently performing well internationally since its first debut at Frankfurt Motor Show in 2005 and has won many awards such as “Car of the Year 2008” award in Brazil. Even on safety point of view, the Fiat Punto has received a 5-Star rating in the stringent Euro NCAP safety tests. 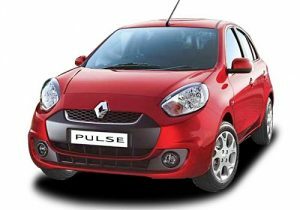 Now with the launch of this car in the Indian market, the company plans to strengthen its position in hatchback segment. Fiat Punto is the second vehicle that has been launched by FIAL (Fiat India Automobiles Ltd.). Fiat Punto has launched in the Indian market with three engine options – a 1.2L, 1172cc petrol engine, 1.4L, 1368cc, FIRE petrol engine and a 1.3L, 1248cc multijet turbo diesel engine. Fiat Punto has an over all length of 3987mm that is 13mm smaller than 4 meters and this length fulfills the criteria to term it as a small car. This is beneficial for both the company as well as customers because if any car termed as a small car under the Government’s rule, it gets a 16% concession on excise duty. But for a car, its length is not the only criteria to put it in the small car category, it should also, be powered by the engine with the capacity of a 1.2L or less. To get excise duty benefit Fiat India took the chassis of Grande Punto and fitted in the 1172cc petrol engine that is alsl powers its previous hatchback Fiat Palio. Also the 1.2L, 1172cc, 8-valve, FIRE petrol engine is surely cheaper than its 1.4L engine petrol counterpart. Its 1.2L FIRE petrol engine can produce 68PS power @ 6000rpm and 96Nm torque @ 2500rpm. Fiat Punto has launched in India with three engine option – two petrol and a diesel engine. The diesel variant of Grande Punto is equipped with 1.3L, 1248cc, multijet turbo diesel engine that is currently powering Maruti Swift and Fiat Linea. This engine is well known for is tractable nature and it delivers 88bhp power by its front wheels. The safety features that are available with Fiat Punto include ABS (Antilock Brake System) with EBD (Electronic Brake-Force Distribution), Airbags, central locking, child lock, Power Door Locks, Anti-Theft Alarm, Front and Rear Seat Belts, Seat Belts Warning, Front and Side Impact Beams. Mahindra showcased the production ready prototype of the NXR electric vehicle at the expo. The REVAi successor looks much more appealing and will have more variants too. The badges of the production version have changed from the large REVA logo on the front grille to the Mahindra logo and the NXR logo with four leaves is used in the rear. The rest of the vehicle remains unchanged. The NXR uses parts from the Mahindra parts bin to keep costs in check. Despite this, making the NXR more appealing has made it a little more expensive. The company expects infrastructure support from the government to source, distribute and charge a range of electric vehicles and subsidy for its EV. The NXR will be offered with three battery options – small, medium and large – to cater to a variety of driving ranges. There will be two kinds of batteries – lithium ion and lead acid but Mahindra will focus more on lithium ion variants. Engineers responsible for the NXR’s development have also worked on the Verito electric vehicle. The conventional engine has been swapped with a 29KW (39.4bhp) electric motor. The company claims the Verito Electric has a range of 100km on full charge and a top speed of 86kph. 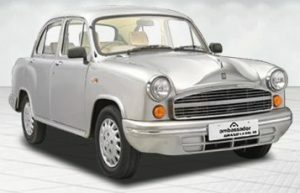 The Hindustan Motors Ambassador has literally served India for decades before the arrival of all the international manufacturers. But while this old workhorse has faded from everyone’s recent memory, Hindustan Motors isn’t about to sit idly by and let it be forgotten. After launching a pickup version of the Amby for the rural market earlier this year, HM has been spied testing a shortened version of the sedan. By cutting the boot and bringing the car’s length below 4-meters, HM should be benefited by a lot of excise benefits, and thus will be able to price it at a point which should make it affordable to a lot of folks. Engine options will likely include a revamped version of the recent Ambassador’s 1.5-litre diesel mill while a CNG version would likely be on offer as well. Mahindra Verito the sedan for business class, has not been very successful of late in Indian market. This has led the company to bring a sub 4 meter version of Mahindra Verito. The Mahindra Verito CS (Compact Sedan), due to launch next year, will help M&M to save some excise levies as sub 4-meter cars are charged only 10% duty whereas longer cars attract 22% excise duty. Shortening the lenght of the car is not a new thing. Even its rival, Tata Motors, cut its Indigo sedan to bring Indigo CS and the sales were seen to be improved by a considerable level then. 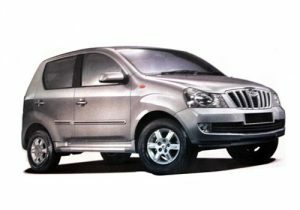 Similarly, Mahindra Verito CS is expected to bring a boost to the sales of the sedan which is actually lagging behind. Mahindra’s Verito compact sedan is likely to be powered by two engines: a 1.4 litre petrol motor and a 1.5 litre diesel motor that powers the current Verito sedan. With almost the same features as regular Verito, the Mahindra Verito CS price will be somewhere around Rs 5 lakh. The only cut back will be in the boot space department. The diesel Verito will feel the heat from the Tata Indigo eCS and yet to be launched Maruti Swift Dzire CS. Mahindra & Mahindra, Indian automobile giant want to add a new feather in their cap by entering in 4-meter cars segment with its grand hatchback MUV Mahindra Xylo Mini. This new compact variant of Mahindra’s popular SUV is expected to imbibe all the qualities of the parent model Mahindra Xylo Mini. 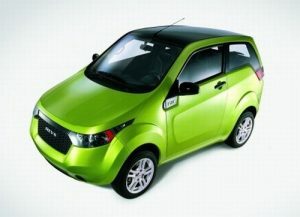 Recent reports states that Indian automobile giant Mahindra Auto will release Mahindra Xylo Mini in Auto Expo 2012 where all car makers vouch to unveil new cars and concepts. This new compact version of Mahindra’s popular SUV is expected to bear all the specifications of its parent version “Mahindra Xylo SUV”. As per speculations, Mahindra mini Xylo price is expected to touch the mark of Rs. 4 lakh for base variant and the costing can go to Rs 5 lakh also. The car is expected to be crafted with same robust and an aggressive looks that are brand image of Mahindra Xylo standard. However, Mahindra Auto’s compact car “Mahindra Xylo Mini” will shed some of the high-end luxurious features to make the Mahindra Xylo Mini price adjustable to Rs. 5 lakh in comparison with its standard Mahindra Xylo price which is Rs. 7 lakh plus. Body Color Bumpers, Tachometer, Trip Meter, Rear Seat Belts, A/C without climate control feature, Power windows, Central Locking, Remote Fuel Filler, Rear Wiper, Manual Driver Seat Adjustment, Optional Music System, Rear A/C Vent and much more is expected of Mahindra Xylo Mini. It is expected that Mahindra Xylo mini will come with the punch line “Small happy legs”. After huge success of Indigo CS, Tata Motors India is all set to launch the compact sedan version of Manza. It will be sold as ‘Manza CS’. Tata has not made any official announcement about Manza CS but it is expected that it will be launched by March/April this year. As the name suggests, Manza CS will be shorter in length in comparison to the regular Manza sedan and will be less than 4 metres in length to meet the norms and Tata would be able to price Manza CS very competitively. It is expected that the base model of Manza CS will be priced around 6.5 lakh rupees. In response to the lower excise duty on sub-four meter cars, Tata Motors is set to roll out a shortened version of its entry-level sedan Tata Manza. 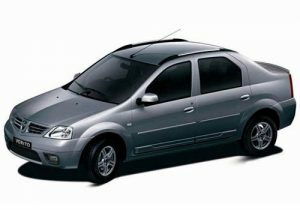 Tata Manza Compact Sedan christened as Tata Manza CS can be launched by the end of this year or early 2012. Although Tata Manza CS price is under wraps, with the squeezed version Tata Manza CS, the company will be in a position to cut down the price significantly by Rs. 30,000 to 40,000 compared to its longer counterpart. It is most likely that this ‘CS’ version of the Manza will be launched in 1.4-litre SAFIRE and 1.3-litre Quadrajet engines. The new car will have more rear seat leg-room and a larger boot than the latter owing to the longer wheelbase than the Vista by 50mm. Tata Manza CS will be on the same platform as the Manza sedan and the exteriors will more or less be same in design. The interiors of Manza CS will largely remain same with some downgrades possible on base variants to keep the pricing competitive. SAIC-GM-Wuling Automobile or the joint venture between General Motors and Shanghai Automotive Industry Corporation (SAIC) of China and Liuzhou Wuling Motors Co., Ltd is finally reaping its fruits for the Indian market. 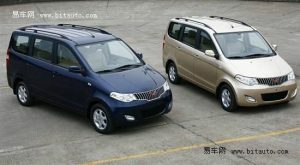 GM India has been extensively testing the Wuling Minivan in India and is expected to launch the same by the end of 2011 or Jan 2012. The vehicle, called the Wuling CN-100 MPV, will be a direct hit to the likes of the Mahindra Xylo, Tata Winger and even Maruti’s new upcoming MPV. To be manufactured at Chevrolet’s Talegaon plant near Pune, the MPV is expected to carry a price tag of around Rs 6 lakh. The CN-100 will be powered by the 1.3-litre multijet unit sourced from FIAT though we strongly feel that given the weight of the van, they should end up using the 90PS version. From the outside, the CN-100 has pleasant design lines. It isn’t a great looker by any margin but given the fact that most of the competition looks boring, the CN-100 will be a more than welcome fresh change in the Indian minivan segment. The Chevrolet CN-100 van will come with 175/65 R14 tyres for the Indian market. 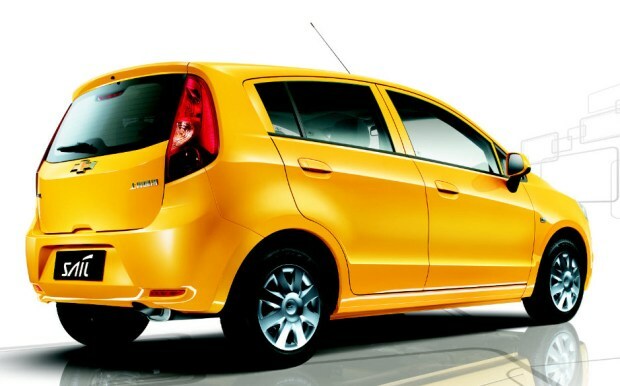 Chevrolet India has unveiled the Sail Hatchback which is expected to replace the Aveo UV-A later this year. The car was unveiled at the Auto Expo 2012 in New Delhi along with the SAIC MPV concept which will be launched in 2013 and compete with the likes of Toyota Innova and Mahindra Xylo. Chevrolet Sail hatch is expected to be powered by the same 1.2 litre petrol engine which is doing duty under the hood of Chevrolet Beat and it is also expected that it will be available in diesel. In terms of looks it looks much better than other popular hatchbacks in this segment and follows the latest Chevrolet’s design theme featuring huge smiling front grille dominated by chevy’s golden bow-tie logo. Chevrolet Sail hatchback is expected to be very spacious and feature-rich. The top model is expected to feature automatic climate control system, Anti-lock braking system, SRS airbags, power steering, power windows, remote central locking, fog lights, alloy wheels, rear defogger and rear washer/wiper. The base model of Chevrolet Sail is expected to be priced around Rs. 5 lakh. Renault took a big step towards becoming a serious player in the small car market by revealing it’s all new hatchback for India. Known as the Pulse, this car is basically a mildly altered version of Nissan’s rather clever Micra. Under the skin, the two are basically the same. They share the same lightweight V platform chassis, the same basic suspension, the same gearbox and the same set if engines as well. These include a 1.2 three cylinder petrol and a 1.5 turbo diesel. If you’re looking for a more rugged version of the Fabia Estate, then the Scout could be for you. Skoda says the model mates the versatility of an SUV with the running costs and price tag of a supermini. 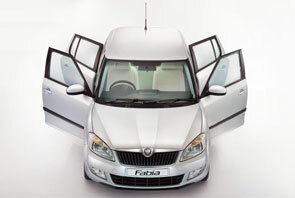 Elegance achieves new parameters with the SKODA Fabia. The very personification of good taste and refinement is what defines the Fabia. The sleek hatchback brings all the comforts and roominess of a luxury sedan in a small car making it compact at the same time. Seamless power delivery, greater torque along with lower fuel consumption makes the Fabia a pride to drive. The high performance economy efficient hatchback packs in a great punch of features and looks that are bound to make your heart skip a beat. Take the Rexton II for a spin and you’ll immediately understand why the Rexton is Ssangyong Motor Company’s showcase SUV. This powerful SUV offers the best combination of fuel economy, comfort, versatility, and safety. The Rexton II is at the forefront of green technologies, too, with a catalyzed diesel particulate filter (CDPF) and a variable geometric turbine turbo charger (which optimizes energy efficiency using vane-controlled emission speeds, ultimately keeping emissions low). Its ultra-rigid frame structure features a triple-layer construction built to absorb and disperse all kinds of shocks—resulting in less vibration, longer durability, and greater safety. The torque-on-demand system allocates most of the power to the rear wheels under normal driving conditions, and automatically shifts more torque to the front wheels when road conditions decline. Safety features include a rear obstacle warning system, panic alarm, and an immobilizer that prevents illegal reproduction of your key. 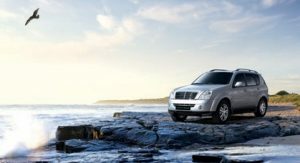 Sit in the Rexton II, however, and you’ll see that explosive performance, sturdy construction, and proven engineering do not require a sacrifice in comfort. With heated front and rear seats, tilting headrests, power folding outside mirrors, seat-back and side pockets, and an electro-chromatic mirror, every passenger will be sure to enjoy their trip.